When Should My Dog Start Taking Glucosamine? What are Glucosamine and Chondroitin and How Do They Help My Dog? 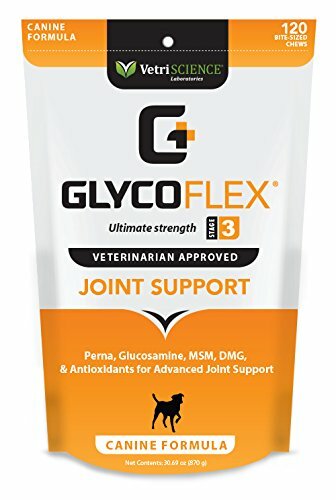 What is the Proper Glucosamine Dosage for Dogs? Glucosamine is a supplement that helps ease joint pain in not only humans but dogs as well. All dogs are susceptible to joint and bone issues, but larger breeds are the unlucky ones who are more prone to these health problems. As a dog gradually ages, their joints can develop arthritis and inflammation as well as hip and elbow dysplasia. A way to help ease the pain is with supplements. If your pup starts taking supplements earlier on, it could prevent these future afflictions. Physical health is directly linked to mental health. This holds true for us humans, and dogs as well. If your pup isn’t able to roam freely, run and jump the way a carefree dog would, it will take a toll on his mental health. It’s a vicious cycle that can perpetuate and aggravate existing health issues. Glucosamine, along with other supplements can be used to fight against these health issues and nip them in the bud. However, it is worth noting that these food subsidiaries can be a great way to help combat arthritis and give some kind of a relief to your dog, they are not cures, and cannot help your dog become arthritis-free. The dose of glucosamine is dependent on each dog. It’s a good idea to consult your vet so they can better advise you on the dose based on your dog’s needs. Glucosamine is a dietary supplement that has an anti-inflammatory effect to help reduce your dog’s joint pain. Similar to lubrication for your dog’s joints, it helps restore joint health naturally and increases your dog’s mobility at the same time. Use of glucosamine is for preventative measures. If you suspect your dog may be developing signs of any joint or bone issues, consult with your vet right away so glucosamine supplementation can be administered. You could try changing your dog’s diet to include more plant-based ingredients. Try vegan dogs treats here. Supplements generally provide more benefit before any symptoms show. A typical characteristic of dogs is to hide their pain and suffering from their owners. I know, it melts my heart, too. For this reason, you might not notice your dear pup is suffering until the problem is quite severe. 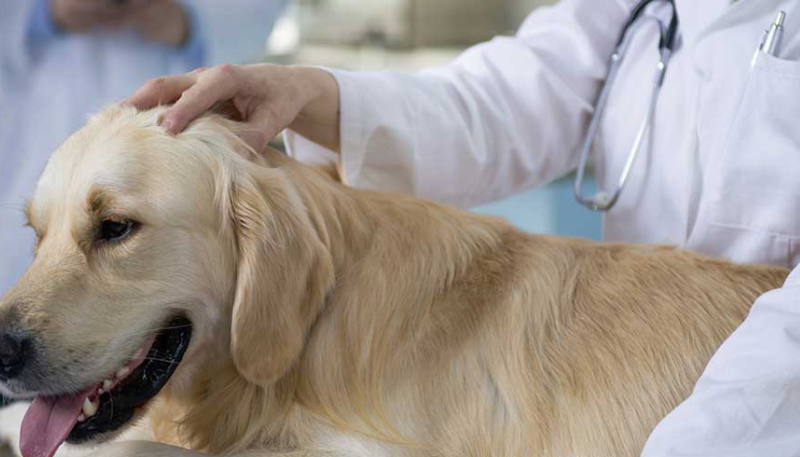 The best way to care for your pup’s health is prevention. Glucosamine is a synthesized version of the naturally occurring compound found in your dog’s connective tissue and fluids around joints. It provides an array of benefits ranging from pain relief from inflammation, bone loss, and arthritis, to rebuilding cartilage and improving joint function and overall movement. When these issues are improved, you will notice your dog is more lively and full of energy, therefore his quality of life will improve greatly. Glucosamine can also lessen your vet bill as it is cheaper than medication. Since it’s a naturally occurring substance, there are less unpleasant side effects. Even if side effects do appear, they are mild and tolerable. Right when your dog stops growing, around the 10-month mark for smaller breeds and 12 for regular breeds, is the best time to start! For larger dogs, depending on the breed, some may keep growing up until 18 months to 2 years! Again, the best way to determine this is to consult your vet. If you’ve passed the growing stage, don’t fret, it’s better late than never! Glucosamine can be taken at any age, at any point in life, this supplement will only do good. Depression or any other sort of change in behavior i.e. aggression or nervousness. Reluctance to do physical activity or jump. Difficulty rising from a resting position. 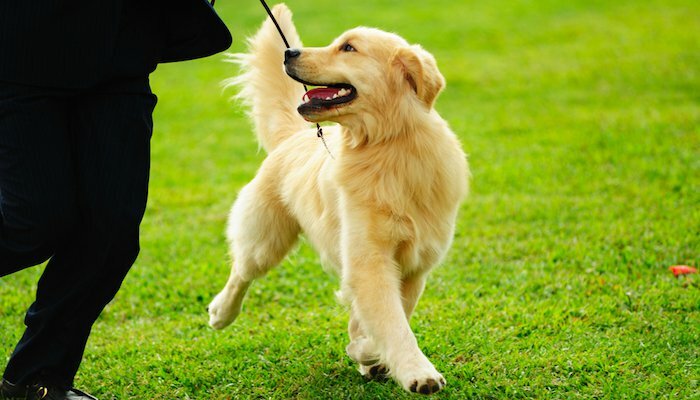 You ought to start paying attention to the way your pet walks. If the dog is a bit stiff and is trying to stay off specific limbs, or if you notice any other sign of discomfort that the dog seems to be exhibiting than it might be experiencing arthritis issues. Since the joint area is vital in your dog’s movement, treating arthritis will require a 360-degree lifestyle change. 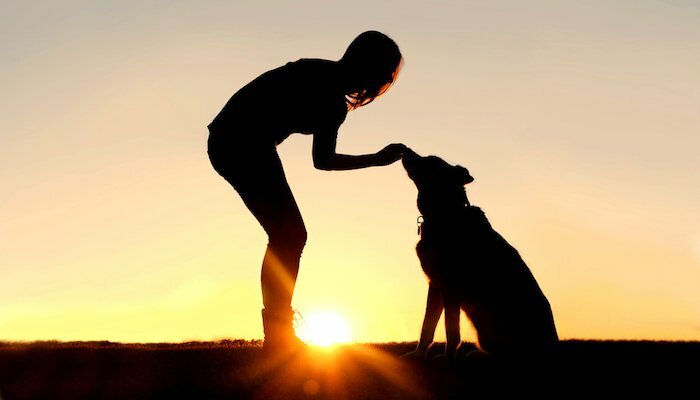 A well-balanced diet, arthritis-specific dog food and the maintenance of a good quality of life are the key factors. 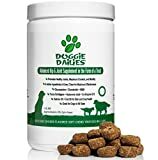 Some large breed dog food automatically contains glucosamine and chondroitin since joint issues and elbow and hip dysplasia is very common among them. Do not overdo physical activity and strain their joints even more. Plenty of rest is recommended along with lots of kisses and hugs of support! It is important to consult your vet first and foremost before you take any action. Once your pup is diagnosed with arthritis, your vet will most likely prescribe non-steroidal anti-inflammatory drugs (NSAIDS). If necessary, your vet may use steroids as another option, as well as injections of cortisone to reduce swelling and pain. As for long-term rehabilitation, physiotherapy can be a good option to decrease scar tissue, improve mobility and help with the pain. A lot of these facts sound like what we’d go through if we suffer from arthritis. It’s not much different, so we are able to relate to our pets and to the pain. Your vet may also suggest other additional treatments such as acupuncture, ultrasound and laser therapy and stem cell therapy. All of this may sound scary, but this is just when the problem has been persisting and your dog is in dire need of support. When your dog suffers from painful joint issues, it’s extremely important not to aggravate the situation. Be prepared to give them lots of rest, love and care while they heal. When their circumstances improve, try not to load on the exercise too quickly, instead, take your time and slowly introduce your dog to a new exercise regimen recommended by your trusted vet. Natural treatment and preventative remedies are still the best way to treat arthritis. 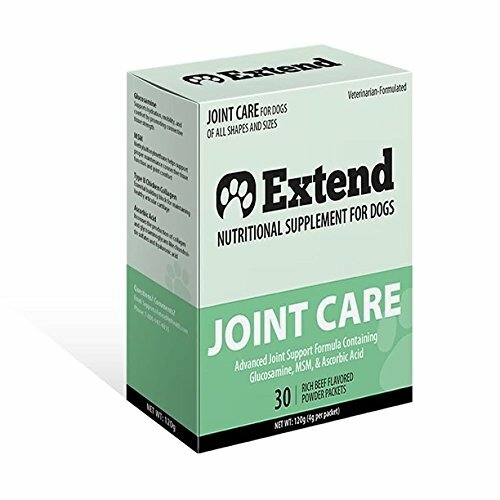 Supplements such as glucosamine, chondroitin, omega-3 fatty acids and vitamin E can also assist in decreasing and preventing inflammation and aiding your canine’s body to repair and strengthen joints. 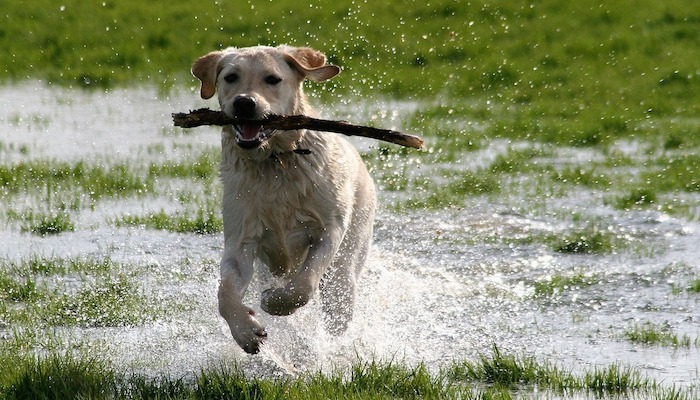 Glucosamine is a natural substance that can be found in your healthy dog’s cartilage. This substance helps form and repair body tissues that are damaged, such as cartilage. As a part of the natural aging process, glucosamine levels will decrease in your dog. This leads to joint pain, stiffness and eventually arthritis. Arthritis occurs when there is ongoing wear and tear happening on the joints and cartilage with slow repair time. But worry not, studies have shown that glucosamine along with chondroitin and MSM can help the rebuilding process of cartilage, reduce pain and restore your dog’s mobility. What is chondroitin you ask? It is another supplement that helps joint issues and can be found in dog food. Paired with glucosamine, it gives an added healing effect that is even more beneficial to your dog’s joints and relieves even more of the pain. Don’t be discouraged if you don’t see immediate effects. It could take up to a few weeks to see the rewards of these supplements. Because there are very low chances of side effects, your dog can stay on joint supplements for all its life. 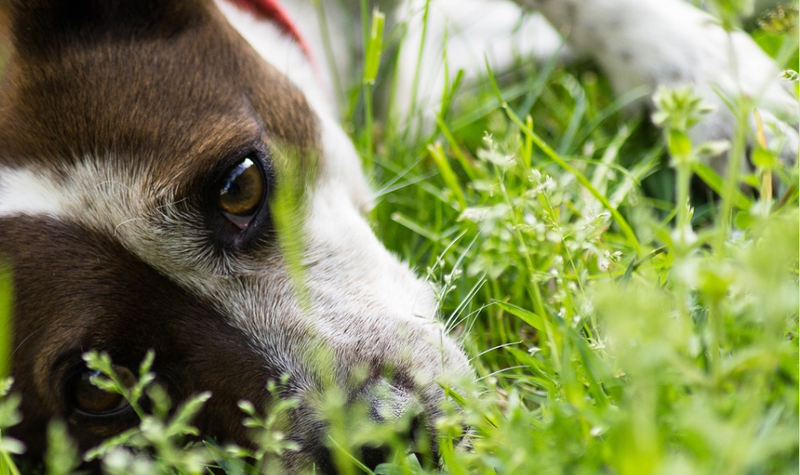 If you decide to take your dog off these substances, the pain may return in as little as a few weeks. When you see the glimmer returning to your fur baby’s eyes and their playfulness has returned along with more willingness to do physical activities and a gradual regain of cardiovascular health, you’ll know it’s working! If glucosamine and chondroitin are administered early on for preventative measures, the more likely you will be able to avoid a large and expensive vet and pain medication bill in the future. There is typically a loading period when the initial dose of glucosamine is administered. At the beginning of treatment, the dosage is higher until improvements are evident. This period of about a month is called the ‘loading phase’. After this period, the dosage is decreased to a certain amount and stays the same throughout the dog’s life. This phase is called the ‘maintenance phase’. In general, the recommended amount of glucosamine is 20-25mg per pound of body weight at about once or twice daily. Please make sure to consult with your vet on the right amount for your pet specifically. The dosage may vary depending on breed, size or severity of the condition. Omega-3 fatty acids – These are anti-inflammatory substances. They help regulate the cartilage cells and help with degradation. Aside from that, they also do wonders to your fur baby’s coats and skin! Methylsulfonylmethane (MSM) – This is a source of sulfur, which helps collagen synthesis. Aside from anti-inflammatory effects, MSM also helps reduce muscle spasms, pain, and reduces stiffness. Selenium – This is an antioxidant that helps with premature aging in dogs, cancer and other inflammatory diseases by preventing oxidation. Manganese – This supplement is needed for bone growth and bone strengthening. It helps maintain the quality of bone and cartilage. As said before, glucosamine hardly has any side effects, but some are still unavoidable. However rare and few of these side effects are, we still need to look out for them. The mild side effects can be reduced once the dosage is dialed back and you enter the ‘maintenance phase’. The more usual side effects are all gastrointestinal. This includes vomiting, constipation or diarrhea. If glucosamine is administered with food, you’ll also gradually see less and less of these symptoms. If by any chance your dog goes into anaphylactic shock, you must take him to the vet for treatment immediately, as this is a serious allergic side effect. Another very common side effect of glucosamine is an allergic reaction. If your dog is allergic to shellfish, there are glucosamine products made from corn or other plants that could be a better option. Fatigue – Your dog might become more tired and lethargic. Insomnia – If you find your pet not being able to sleep as well, as usual, it could be due to this side effect of glucosamine. Dehydration – At higher doses, being extremely thirsty and urinating frequently can also be a side effect. Glucosamine is a sugar-based substance. If your pup is diabetic, make sure you make this known to your vet as it could potentially affect his/her sugar levels. Here is where we get into our top ten choices. There is an unlimited number of supplement products out there, some with no benefits at all. It’s important to look out for the right ingredients and read the label carefully to distinguish what’s good for your pet, and which can have very serious drawbacks. Nutramax Cosequin DS is a vet recommended joint health supplement. Initially, the administration should be for about four to six weeks. Some dogs, however, may respond sooner than that. 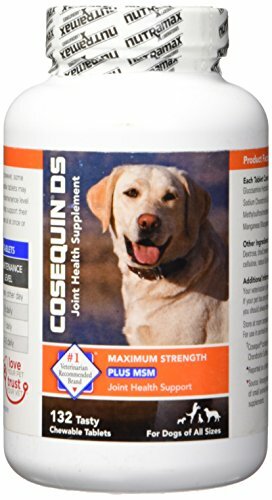 The Cosequin, another name for glucosamine, is coupled with MSM, an organic compound which contains sulfur to give extra support to your pet’s joints. Give your pet a chance to regain or maintain mobility and a healthy lifestyle with Nutramax. This combination of ingredients works together to protect not only your dog’s joints, but also to offer cartilage support and reproduction. After the initial loading phase, reduce the amount to one pill during the maintenance phase. Why We Like It – The combination of supplements together to give your pet maximum support is a large benefit to Nutramax Cosequin. Another great benefit is the chewable tablet form that is easily mixed in with your pet’s food. TerraMax Pro Hip and Joint Supplement is another veterinarian recommended brand, this liquid formula is 100% pure, safe and all natural! Made in the USA, using human-grade ingredients, give your pet the maximum joint and hip support it deserves. TerraMax Pro’s formula helps to repair and support joints and cartilage to help your canine best friend regain and/or maintain mobility. Not only does TerraMax improve joint issues, skin problems, and stomach issues, maintenance, and healing are among the other benefits it provides. With a 100% money-back guarantee, you know this is a brand you can trust. If you and your pet are not happy with it, you get your money back with no questions asked. You can add this supplement to your dog’s water or the dog’s food. Why We Like It – Its liquid form makes it easier to mask the supplement in your pet’s drinking water or food while also ensuring 100% absorption. Giving it to your pet alone is also another way if your dog can accept it. 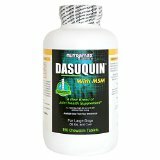 Dasuquin is the number one joint supplement brand recommended by vets around the world. Nutramax claims that this formula aids in cartilage production protects the cartilage, and supports joint function. It is the most all-around and complete support for joints. With more than 10 years of clinical use and research behind this brand, it is paired with MSM to give even more assistance. 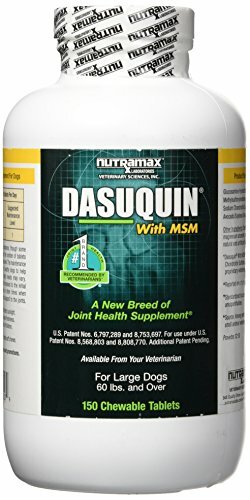 It is said that Cosequin (the other Nutramax option above) is better used for preventative measures, while Dasuquin is more for dogs with existing arthritis or similar issues. Consider Dasuquin to be a strengthened version of Cosequin. Why We Like It – Some consumers state this product is fast-acting and restores mobility in about 2 weeks to a month, you will see very visible changes in your dog. For quick relief, turn to Dasuquin from Nutramax. 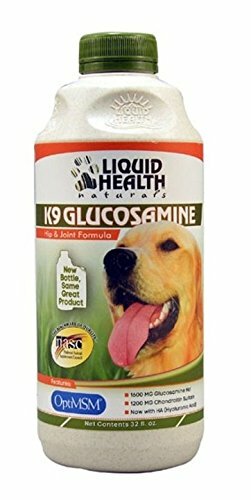 The Liquid Health K9 Glucosamine blend combines glucosamine, chondroitin, and MSM together to create a powerful formula to keep your pet healthy and happy with flexible and pain-free joints. Made to support the structural integrity of your dog’s joints, it even aids in the prevention of arthritis in younger canines. The liquid form is easier to administer, just drip a little into your dog’s drinking water or give it to your dog straight. The hyaluronic acid content in this formula helps to lubricate the joints. Help restore your pup’s mobility and keep joint issues and elbow and hip dysplasia at bay. Why We Like It – can be well on its way to recovery in as little as three weeks! It can be put in the dog’s water or food, and if the dog is picky or doesn’t like tablets, this is a perfect choice! If you are not just looking for preventative measures and your dog is simply reaching old age, this is a great product to try. A blend of powerful ingredients that promote flexibility and mobility, Zesty Paws gives your older dog comfort again. 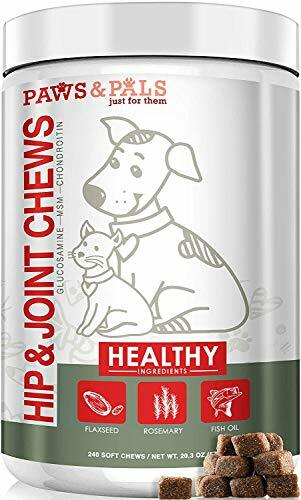 These chewable treats contain glucosamine and chondroitin that help lubricate the joints, giving it enough cushion to ease the pain. For dogs that have descended to Rainbow Bridge, these loving pet memorial stones can help ease the pain. The distillation process of the MSM in this formula ensures a 99.9% purity. The more natural and organic the ingredients are in anything edible, the better it is for your dog. With added vitamin C and E to give your dog strength and flexibility, it will also lift your pup’s spirits. Put a smile back on his face today, with Zesty Paws Senior Advanced Glucosamine. Why We Like It – The delicious chicken flavor will be inviting to your dog. It’s easy to chew and made specifically for senior dogs. 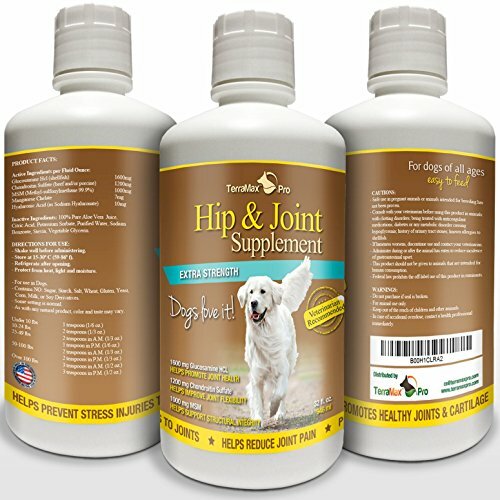 The combined ingredients give your elderly dog full joint support. 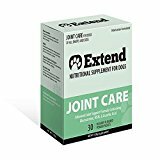 This joint care supplement is made in the USA and is designed to reverse the effects of any joint damage, support the repairs and maintain joint health. The delicious beef flavor of this powdered formula will not be turned away, even by the pickiest of eaters! An easy way to mix this supplement is to add water, making gravy and flavoring your dog’s daily meal! Extend Pets offers a 100% money-back guarantee if you and your pet are not satisfied with the results, your purchase will be refunded with no questions asked. Try the Extend supplement with full confidence if other formulas haven’t been working. It is 100% safe, all-natural and vet approved! Why We Like It – For those whose dogs are not very accepting of the chewable or liquid forms, this could be another option. The powder serves as a condiment for their meal and can be mixed with water to make a gravy paste. It always puts our mind at ease when we know veterinarians have been recommending a certain brand. This brand has been backed by vets for over 30 years. Help your pup regain 41% of his strength and mobility in his hind legs within 4 weeks time. The formula is clinically proven and is the third stage of joint care and support for this brand. VetriScience GlycoFlex is recommended for very active dogs or senior dogs already exhibiting signs of joint issues. There are two forms available, depending on which your dog prefers, they offer the soft chews or tablets. 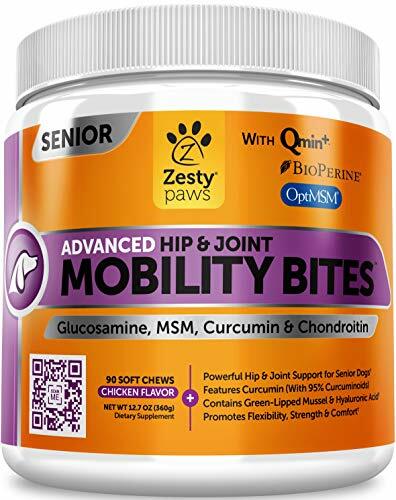 The three most effective supplements of joint support: glucosamine, chondroitin, and MSM, come together to form a strong support for your dog. Why We Like It – This is an extra-strength formula specially formulated for dogs that require maximum support. It’s clinically proven and offers comprehensive joint support. This advanced formula contains higher amounts of glucosamine to battle the worst kind of joint damage. The high dosage does well for dogs that suffer from arthritis and is even used to prevent such dispositions. 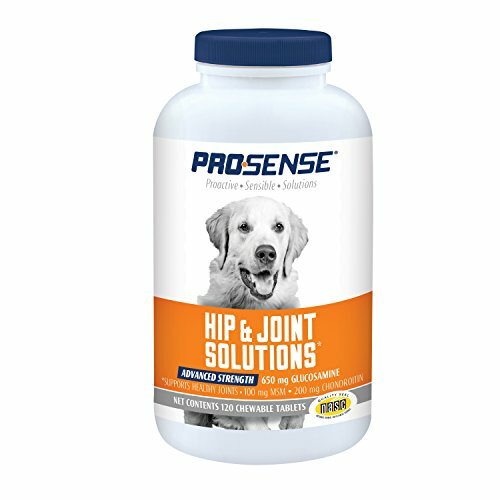 On top of the glucosamine, ProSense adds chondroitin and vitamin C for added support. The chewable form is easy and welcomed by many dogs. Pairing this supplement with food or giving it to your dog after meals will reduce the chances of an upset stomach. Rest easy knowing this product has the NASC’s (National Animal Supplement Council) seal of approval, meaning it has undergone independent quality checks. Why We Like It – The delicious flavor is almost like offering your pup a treat. Save bucket loads of money on surgery and medication with this advanced formula. Not only is this a supplement for joints, but it also has many added functions due to the added vitamins, minerals and antioxidants. All the combined ingredients serve to support joints, improve aches and pains, and maintain flexibility. The glucosamine and MSM are anti-inflammatory compounds used to reduce swelling and pain by a significant amount. No longer do you need to feel your heart break as your pup yelps from joint pain. Made in the USA in an FDA regulated facility, this brand not only helps with hip and joint care but also promotes a healthy immune system. Say good-bye to aches and pains and say hello to a healthy happy pup. Why We Like It – All the ingredients aim to improve your pup’s overall health. Give the gift of exercise without pain to your pet and sit back and watch them run and jump like their younger selves. Doggie Dailies is committed to curing your dog of joint aches and pain. They include two bonus eBooks that are full of doggy care tips on how to avoid certain health problems. If for any reason you or your dog is not happy with your purchase, they will refund your money back 100%. Meeting stringent safety standards, all Doggie Dailies products are safe and certified by the FDA and made in the USA. 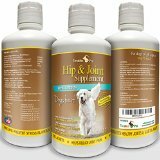 Give your dog the best formula to fight against inflammation, lubricate joints and repair cartilage. The powerful blend of glucosamine, vitamins and minerals, chondroitin and MSM will target your pup’s problems and do away with them. Try these delicious chicken-flavored chews today. Why We Like It – Bonus gifts are always a plus, the two eBooks give you more insight on how to care for your dog’s health. This Doggie Dailies blend has plenty of other functions that benefit your dog, aside from joint care. We cannot stress this enough, but our fur babies are all unique and different. Each one has special needs, different genetic makeup and individual preferences. Nothing can be more painful and pull at your heartstrings than seeing your fur child in pain. You might want to give it the whole bottle of supplements just so it can take away their pain right then and there. We all understand that patience is a virtue we simply do not have when a loved one is in pain. Before you do anything rash, remember to CONSULT YOUR VET FIRST. Only your vet knows best when it comes to illnesses and dosage. They will have extensive knowledge of your pet’s dispositions and health background. They know what products are safe to try and which ones to steer clear of. One more important thing is the dosage amount. Rather than reading the label, asking your vet what the most suitable dosage is for your pet is your best bet. Giving your pet joint supplements prevents and aids the deterioration of their joints and gives them the chance to be their younger selves again. It is recommended to get professional advice and assistance just to be safe. For more ways to help a dog with arthritis read this study here. Glucosamine is great, but don’t miss out on all the other popular dog subsidiaries. Be sure to see our probiotics buyer’s guide, our fish oil guide, and our coconut oil guide. thank you Carrie. I’ve been giving my dog Glucosamine and already seeing he is much happier. Thanks for your feedback Lucy! Glad the Glucosamine is helping your dog with his joint issues.